Tiber attended Harding College, where he received his bachelor of science degree, then went on to earn his M.A.T. from Duke University. Subsequently, Tiner taught junior high, high school, and college students math or science. Now a cartographer and freelance author, Tiner writes textbooks, science curriculum material, character-building biographies, and books on a variety of other subjects, including mysteries, science fiction, astronomy, photography, biographies of historical people, and religious works. Tiner's material has been translated into a variety of languages including Spanish, Russian, and German. He currently lives with his wife in Missouri. 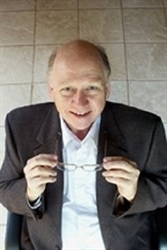 John Hudson Tiner is currently considered a "single author." If one or more works are by a distinct, homonymous authors, go ahead and split the author. John Hudson Tiner is composed of 4 names. You can examine and separate out names.